From SEO and technical consulting to creative content and digital PR, Distilled helps businesses make the most of the online world. Distilled can capture and digest the web data needed to boost your business. This might involve tasks such as account audits and code deployments, attribution modeling, and custom reporting. Distilled is a Google Analytics Certified Partner and their consultants have worked with hundreds of accounts ranging from small businesses to Fortune 500 companies. Content is essential to getting in front of today’s search-obsessed consumers. As such, Distilled believes success is increasingly determined by a business’ ability to use data-driven, engaging content. Whether you want to look into your brand positioning or dive into some competitor research, a carefully considered strategy is crucial to reaching your content marketing goals. 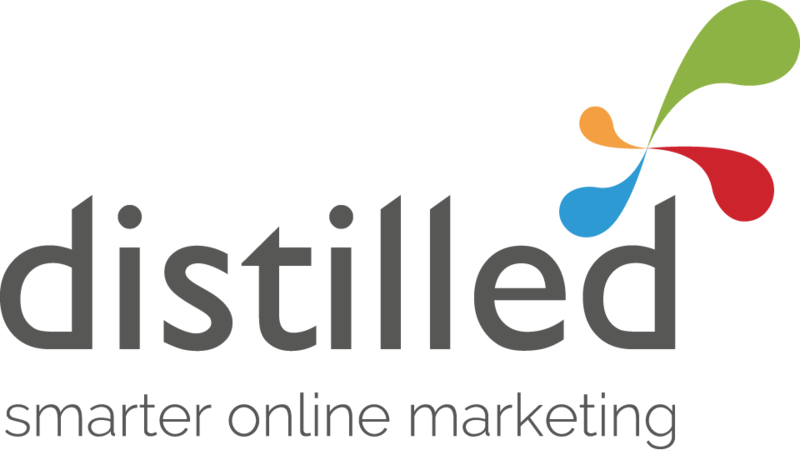 Distilled will partner with you to figure out how to improve your business performance with content. Distilled makes it as easy as possible for customers to buy your product. How? By looking at the whole customer journey and spotting any barriers that make it difficult for people to convert. They then plan, build and launch tests using tools such as Optimizely in order to identify the most effective combinations of pages. Working across an array of formats, from standalone interactive infographics to integrated video and PR campaigns, Distilled aims to find the right solution for you, with results to show for it, whether in the form of links, social reach, or brand awareness. Distilled's PR team takes an active role in every part of content creation; from brainstorming and development to identifying angles, pitching stories and chasing links. They combine traditional PR tactics with more contemporary research tools and technology to run campaigns that form part of a real content strategy. Whether that strategy calls for social interactions, traffic, linking domains or good old fashioned coverage, Distilled's PR team knows what to do, where to place it and who to speak to. DistilledODN is A/B testing for a scientific approach to SEO. Investing in mobile is more important than ever – people are increasingly using their phones or tablets even when a desktop computer is nearby. Distilled runs full scale audits to find out how to improve your mobile rankings. During these they review the technical necessities, identify mobile-specific content and outreach opportunities, and integrate more closely with social media. Distilled's team of consultants delivers powerful search strategies for brands across the globe, helping to propel them up the rankings. And, chances are, they can do the same for you. Work with Distilled to develop a technically sound and crawlable platform, content that speaks the language of the search audience, and an intelligent strategy for building robust brand signals. PPC from Distilled drives not only clicks but customers through precision targeting and conversion tracking. Whether Distilled is using paid search, display, social or a combination of these networks, they'll find the right audience for your company and make sure you are getting the greatest return on your PPC spend. Distilled regularly works with the following platforms: Adwords (including the Google Display Network), Bing Ads, Facebook, Twitter, LinkedIn and YouTube. A truly successful video campaign requires a solid, goal-driven strategy. Distilled will devise a watertight plan to determine exactly what you want and how you'll achieve it. As for production, it's not all storyboards and fancy lighting. Distilled's creative approach is underscored by strong technical skills that make sure your video gets seen by the right people at the right time.